Happy 1st of November! Only a few more days until my due date which is completely blowing my mind. I am more than ready at this point (read swollen, exhausted and uncomfortable) and so excited to meet our little guy. Today's post is a look back at all of my most popular content from October. I received so much great feedback on my last post like this that I did for September so I am back with a behind-the-scenes look at October's stats. Most popular post for the month of October: While I don't plan to focus too much on baby stuff in the future, it seems that was still a big winner for October! 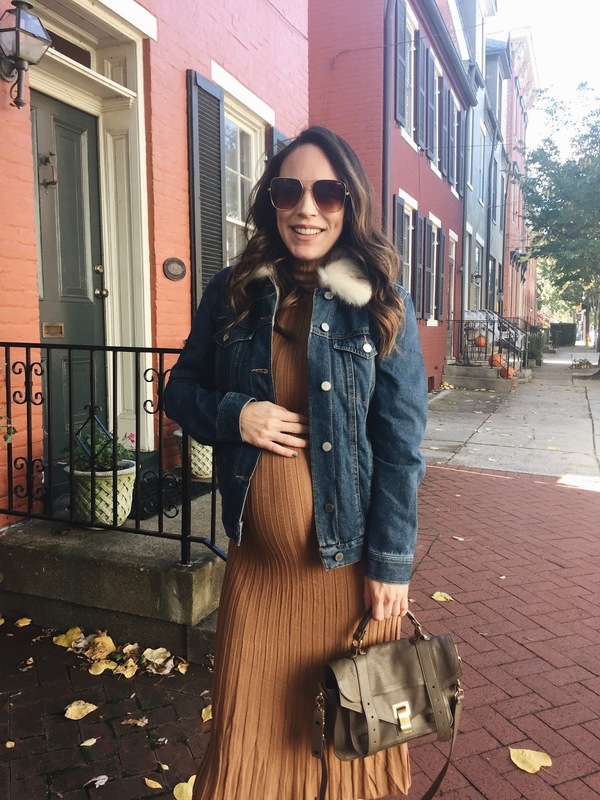 My 3rd trimester bumpdate post was the most read, followed by this post where I answer a few FAQs that I've received recently. I tend not to share too much about my personal life, but I definitely appreciate how well received it is by many of you when I do give a glimpse into more personal content. Most watched video for October: No surprise here, but my monthly beauty favorites video was by far the most watched. And to be honest, they are the videos I enjoy watching from other YouTubers too! Most purchased fashion items from the blog: Though my Friday Finds posts here and here didn't take the #1 and #2 spot for October, the Friday Finds series are consistently in my top 5 every month. I have received quite a few messages from many of you saying how much you enjoy these posts and love that they include a random assortment of topics/finds. The most purchased fashion item from last month was something I featured in this Friday Finds post and it was this wrap cardigan. Coming in a close second was this Free People Off the Shoulder Top that I wore in this post, and third was this Madewell tote in burgundy which is an amazing dupe for my Saint Laurent one that I wear all the time (see it here, here and here). Most purchased beauty items from the blog: I am not surprised at all by the top purchased beauty item from my blog/youtube for October - it was this Tom Ford lipstick in Paper Doll. I probably talked about it a tad too much, but it was easily my most worn lipstick this past month. And of course, this cream that I can't live without was a close runner-up. I talk about it every chance I get because I love it so much and it consistently stays as a top seller on my blog/youtube. Most popular items from Instagram: There are some things I feature on Instagram that don't necessarily make it to the blog but are still quite popular! These Marc Fisher boots (currently on sale!!) seemed to be the winner for October, but this GAP cardigan was a verrrrry close second especially because it went on sale a few times last month and many of you grabbed it during those times! That's it for October! As always thanks so much for coming back to my blog and YouTube and giving me feedback on what you love (or don't, I'm always open to that as well). I enjoy trying to switch things up as much as possible, while still putting out the reviews and posts that really resonate with so many of my fellow beauty and fashion lovers. Have a great November!